The New Orleans Saints lament the loss of longtime assistant equipment manager Glennon “Silky” Powell, who passed away this morning. Powell joined the Saints equipment department in 1974 and served the organization for 38 years up to his retirement in 2012. At the time of his retirement, Powell’s 38-year tenure with the Saints organization was the second-longest with the club. Powell was a longtime member of an equipment staff that was among the most respected in professional sports. In 1994, the Saints equipment staff was the first recipient of the Whitey Zimmerman Memorial Award, annually given to the NFL equipment staff that exceeds the usual demands of the position. Powell and the equipment staff were selected by their peers and received the award again in 2005, reflecting the challenges they faced in the forced evacuation from New Orleans due to Hurricane Katrina, when they had to move the club’s base of operation three times and make preparations for home games in four different locations. 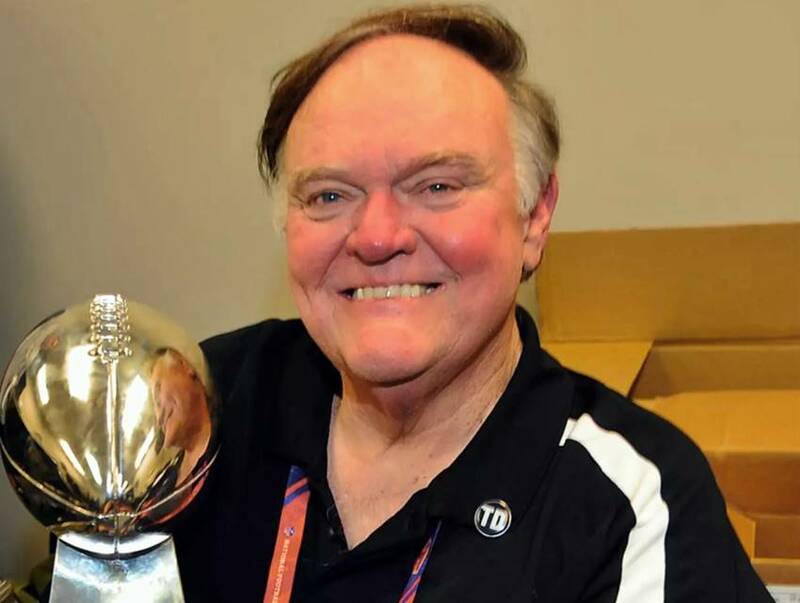 In 2010, Powell and his associate and friend, Head Equipment Manager Dan Simmons were selected by the Saints Hall of Fame as that year’s winners of the Joe Gemelli “Fleur-De-Lis” Award, honoring those who have contributed to the betterment of the Saints organization. A native of New Orleans’ Irish Channel, prior to joining the Saints, Powell worked for the New Orleans Recreation Department, where he was responsible for a number of tasks and also served as a coach and manager at his alma mater, Redemptorist High School. Powell is survived by his wife, Connie and their three children – Allie, Maggie and Erin.